Instant water heating capacity makes electric tankless water heater as one of the best medium to get hot water. And the best part of using a tankless water heater is, absence of tank and hassle related to it. There are many such benefits of using an electric tankless water heater which we will discuss later. As of now, we are here with our best electric tankless water heater reviews to help you find your perfect model. Before beginning our best electric tankless water heater reviews, we would like to explain its working mechanism in brief. Whenever you turn on hot water tap, the normal or cold water passes through the heating element. This heating element is responsible for turning cold water into hot water. And finally, you get instant hot water supply. In simple words, a heating element makes it possible to get continuous hot water supply without any standby energy loss. Now let us begin with our best electric tankless water heater reviews. 13.1 1. Tankless water heater vs tank storage water heater. 13.2 2. How to install a tankless water heater? 13.3 3. How does a tankless water heater work? This Stiebel Eltron Tempra electric tankless water heater with advanced flow control makes first place in the review list. What makes it so special is its, whole house water heating capacity. With installing this single unit, you can get instantaneous hot water supply on several water outlets. In addition, this device is very easy to install and small in size, similar to a briefcase. Small size and sleek design of this tankless water heater do not require much space to fit. Therefore, which makes it the best whole house electric tankless water heater. Built in Germany, this Stiebel tankless water heater posses an in-built self-modulating technology. This technology automatically senses water flow rate and temperature and adjusts power accordingly. As a result, it saves electricity while you get a continuous hot water supply. Further, this tempra 29 plus features a digital temperature display. And by making use of its convenient dial selector, you can set a water temperature between 86 and 140 degrees Fahrenheit. 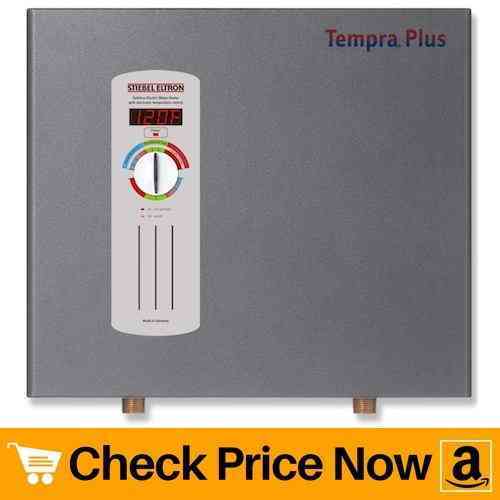 The solid copper heating chambers of this electric tankless water heater offer a maximum flow of 8.0 GPS. However, it depends upon the initial temperature of the water but it does provide good flow even if the water is cold. One and only downside of this product is its cost. 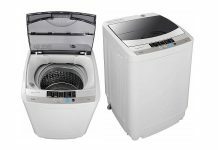 Though the unit costs high, it will definitely serve you with warm water for years. And not just for a single bathroom, this unit is suitable to use for many water outlets. Hence, the best electric tankless water for the whole house that requires no venting. Next, on our compact tankless water heater reviews, we have another whole house heater. This powerful unit continuously supplies hot water in more than one water outlet without any change in temperature. As this tankless water heater requires no extra space for venting, you can virtually install it anywhere. Also, you have an option to wall mount this compact unit. Not just that, it is suitable for residential as well as commercial use because of its capacity to supply hot water in 1-3 major outlets at a time. Even during peak use, you keep getting hot water which makes it best electric tankless water heater for the whole house. Digital display in combination with external temperature control knob is easy to understand and use. Further, its polymer encased elements along with built-in flow sensor ensures temperature remains constant. Besides that, the use of durable polymer encased elements increases the longevity of the product. Unlike typical tankless water heater, this Bosch tankless water heater have an average life expectancy of 20+ years. Therefore, invest your money one time and get great performance for many years. 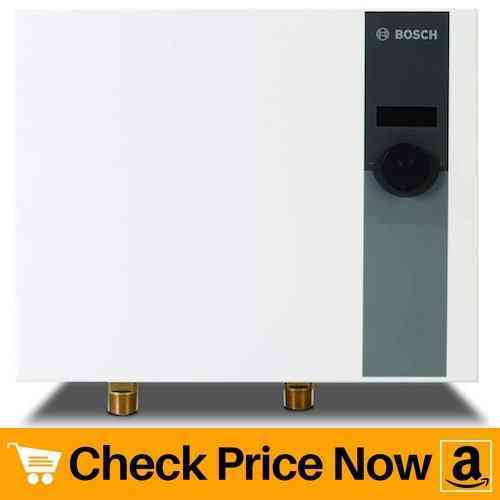 This Bosch electric tankless water heater promises 97% thermal efficiency with a minimal stand-by loss. And a maximum of 3.3 GPM at 55 degree Fahrenheit effectively heats water. Besides that, all it needs for proper and safe functioning is, 120 amps circuit protection through three 40-amp circuit breakers. And thus you have a working best electric tankless water heater from Bosch. Poor circuit protection may result in improper working of the device. Or in worst case, the device might stop working. Nothing is better than owning a electric tankless water heater that provides great efficiency and saves electricity. And this product from ecosmart gives outstanding results in a cold climate while being energy-efficient. Similar to the above models, this unit also have a digital display with a temperature control knob. Using the knob, you can set the appropriate temperature between 80-140 degree Fahrenheit. 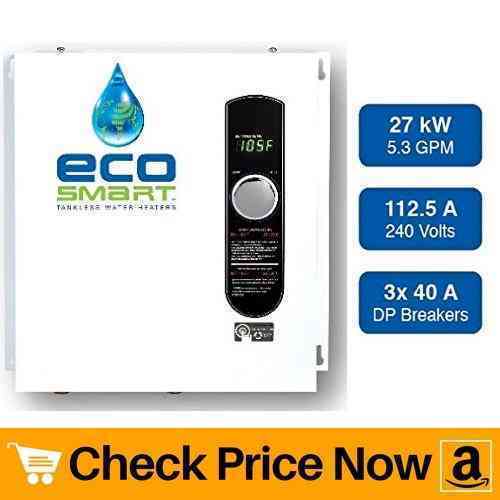 Apart from that, this ecosmart tankless water heater is capable of heating nearly 3 gallons of water per minute at a low temperature of 37 degree F. Therefore, which makes it best electric tankless water heater for northern united states. Ecosmart eco 27 is a good-looking model having a small size. And due to its compact design, it is easy to place or mount the unit. Despite its small size, it can instantaneously supply hot water to 2 running showers during cold weather. But as soon as the weather gets hot, it potentially delivers warm water to 4 showers along with a sink. So conclusively, with ecosmart tankless water heater, you can never run out of hot water. Its patented self-modulating technology results in 50% saving in terms of heating cost. This is one of the main reason to include the product in our best electric tankless water heater reviews. Likewise, the copper and stainless components are responsible for the great efficiency and longevity of the unit. Moving ahead, we have rheem tankless water heater for a small house and apartment. With external adjustable thermostatic control knob, set the precise temperature according to your need. Just like the majority of the models, this unit also contain a LED display panel that displays the current setting. Further, durable copper heating elements heats up the water instantly. Also copper metal ensures the performance of the unit remains stable for many years. 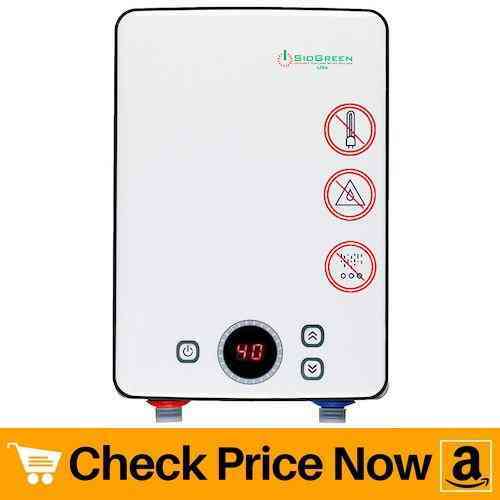 Long life along with quality materials makes this product one of the best electric tankless water heater for small space. Having a maximum flow rate of 4.0 gallons per minute, it posses the capacity to deliver hot water to one shower and a kitchen sink. Moreover, its self-modulating power control cuts down electricity cost. The company claims the product to be 99.8% energy-efficient. So in the end, all you get is a small yet powerful heating device. Speaking of its construction, it has a metal outer body. While its compact design is space-saving and light in weight. However, you can also easily mount it on the wall if you wish. In addition, rheem vows of easy installation and replacement of the unit. Apart from that, it offers temperature increments of 1 degree Fahrenheit. 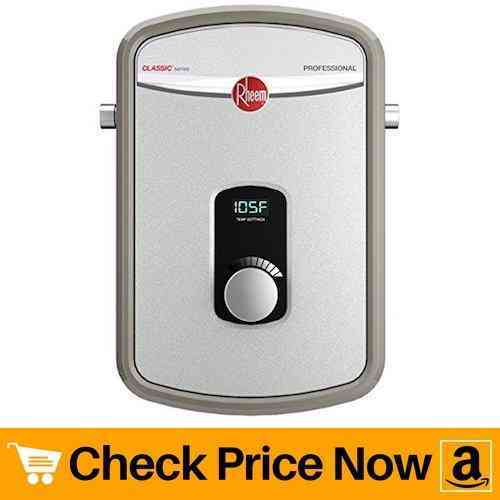 Whereas you can set the range between 80-140 degree F. Thus, makes it easy for you to alter the setting of this rheem tankless water heater. Continuing with our best electric tankless water heater, we have another small space heating device from sio green. Now, what makes this unit so special is its no direct contact with metals. This in turn, prevents corrosion, limescale deposit and calcium buildup. Not only does this increase the life expectancy of the device but also reduces potential health issues. Instead of metal heating elements, sio green makes use of infrared technology and quartz. And using quartz as a heating element, it does not corrode as well as lasts longer. As a result, it makes this tankless water heater virtually maintaince free. Another wonderful feature or say promise from the company is a 100% satisfaction guarantee. 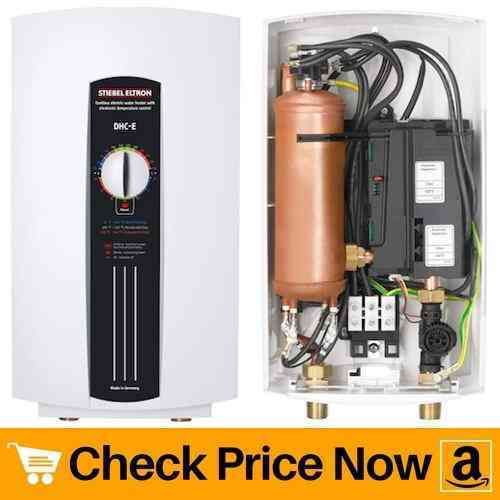 In any case, if you’re not completely satisfied with this tankless hot water heater, then the company offers free replacement or money back. Isn’t that an amazing deal? Besides that, its less than 20 inch of length makes it fit easily in small space. Plus you can easily set the correct temperature by adjusting its 4-power levels. Above all, this electric tankless water heater does not cost much. 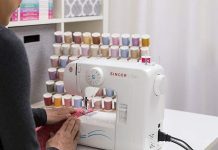 It offers so many features and is still inexpensive. 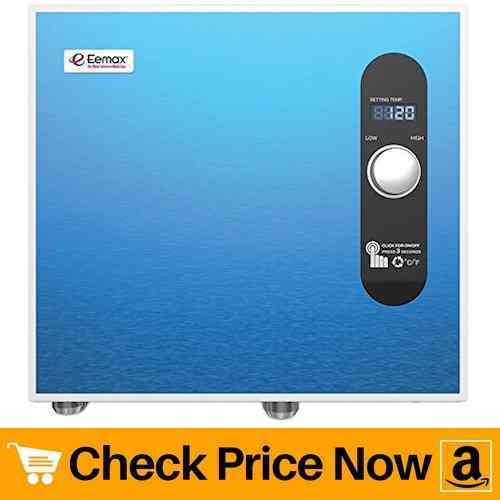 Its maximum flow up to 1.5 GPM is enough to heat up cold water instantly at a temperature increase of 30 degree F. Overall, it is the best electric tankless hot water heater for hard water. This rectangle Bosch electric tankless water heater can be installed horizontally or vertically according to space. 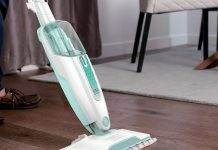 Bosch tronic 3000 point-of-use series is available in four different size. 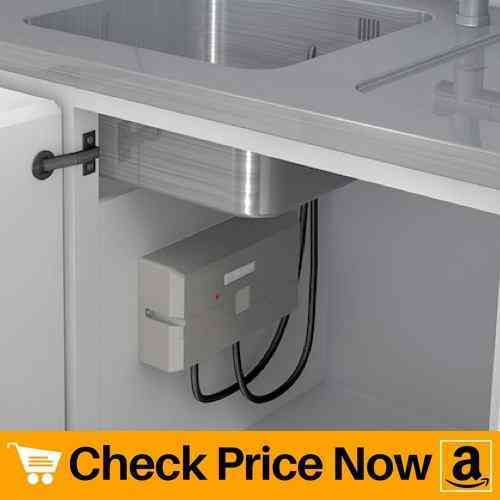 Each of these unit is very easy to wall-mount, place under cabinet or sink. However, this 12 kW tankless hot water is also small is size and light in weight. Basically, it is an point-of-use type heater which means it can deliver hot water to one point at a time. This feature is beneficial in terms of electricity savings. With 98% efficiency and minimal stand-by loss makes it one of the best electric tankless water heater on the list. And similar to the majority of the models, this product also features thermostatic control for convenient temperature adjustment. Moreover, the unit is easy to install and works quietly. 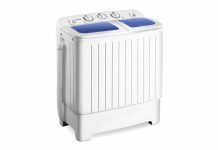 Small size, easy installation and cheap price makes it a best model in our best electric tankless water heater reviews. Only this Bosch tronic 3000 series 12kW model offers you thermostatic control. And in addition to that, it offers maximum GPM output of 1.8 with a temperature rise of 45 degree F. Whereas, 1.1 GPM output is common with a temperature rise of 75 degree F. Hence, with this much of flow is more than enough for a single shower or kitchen sink. If budget is not a barrier then this eemax electric tankless water heater is best for a single large family. Its powerful heating capacity can deliver hot water to 4 showers and 2 sinks simultaneously. Therefore, by installing this single unit, you get instant hot water in the whole house. Thus, which makes it one of the best whole house electric tankless water heater. Also, you can use this product in offices or in any commercial place due to its great heating capacity. Apart from being powerful, it comes in a beautiful blue color which makes the whole unit looks beautiful. The only downside about this product is its price. But in our opinion, it does offers pretty good features for the price it demands. Even during cold weather, this tankless water heater continuous to supply hot water while simultaneous applications are on. So conclusively, you will never run out of hot water with this eemax water heater. It consists of led display on front panel with temperature control knob just like most other models. Also the self-modulating technology automatically adjusts temperature according to input. This in turn, saves electricity and maintains stable temperature during long showers or water usage. Here comes another stiebel eltron electric tankless water heater. Eltron series have both single-point-of-use models and multi-point-of-use units. This model particularly is a multi-point product. Therefore, it is suitable for residential as well as commercial use. Unlike the rest of the models, this unit does not have led display. Rather it has a control knob to adjust the temperature according to the water needs. And just below the knob, it has perfect temperature recommendations for hand washing, residential use and commercial use. With 90% efficiency, this tankless hot water heater saves up to 20% of electricity cost. This is possible because of less standby-loss. Plus you can set the water temperature between 86 degree F to 125 degree F. Besides that, stiebel eltron offers 3 years warranty on parts which is more than the majority of the products. Solid copper heating system including safety thermal cut-out, makes the device more safe during use. With flow of 1.5 GPM, this electric tankless water heater is perfect for single shower and sink. Now this titan tankless water have an ergonomic price with great features. This model is typically made for regions having a mild to warm climate. Basically, it requires an inlet temperature above 65 degrees F. Below 65 degree F, this unit becomes technically unusable. 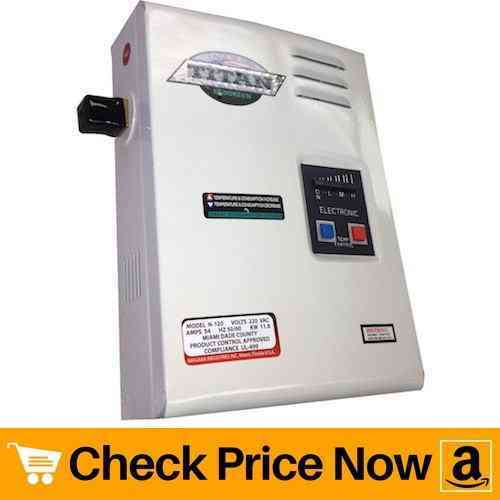 So before buying this titan tankless water heater, you must be well aware of climatic conditions in your region. And as the temperature of water input is high, the unit can simultaneously deliver hot water to 3 bathrooms. Hence, it is a good electric tankless hot water heater for a family of 5. It features a smart consumption system through which you can control temperature according to water usage. This titan model does not have led display, instead, it has push buttons to adjust the temperature. Moreover, this unit is extremely light in weight. 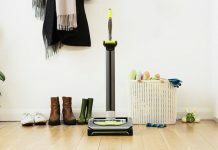 It just weights 2 pounds which makes wall-mounting and installation of the device easy. Maximum flow rate of 4.0 GPM at 20 degree F is sufficient enough to deliver hot water 1-3 standard bathrooms. And with 99.5% efficiency, it supplies constant output as well as saves electricity. Overall, it is best tankless water heater for warm regions. 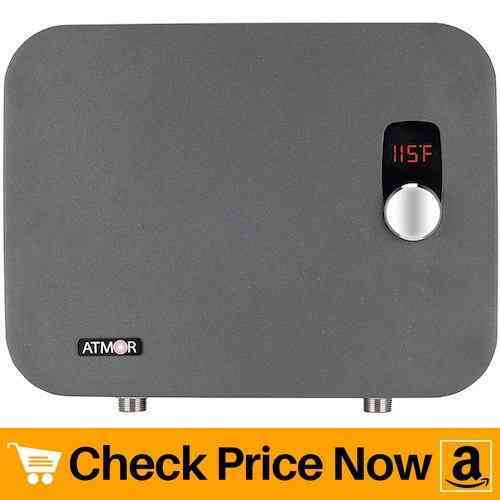 New in the field, this electric tankless hot water heater from atmor has a steel interior. Whereas many of the devices on our best electric tankless water heater reviews have a copper heating element, this unit has 2 steel heating elements. But many other features remain similar such as digital display, temperature control knob, etc. Apart from that, it offers a thermostatic control range from 90-135 degrees Fahrenheit. In addition to that, you can also set temperature in increments of 1 degree. Ultimately, you get hot water according to your desire. As this unit consists of a steel interior, chances of corrosion becomes high as compared to copper. 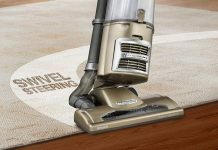 Though the company claims it to be corrosion-resistant, it is not completely safe from corrosion. However, steel heating elements results in good heating efficiency which in turn provides stable output. This unit saves up to 50% on electricity bills. It is possible because, the device only consumes energy when you need hot water. Otherwise, it shuts off temporarily and does not use electricity. Lastly, the flow rate of 2.2 GPM at a temperature as low as 37 degrees makes it worth the price. 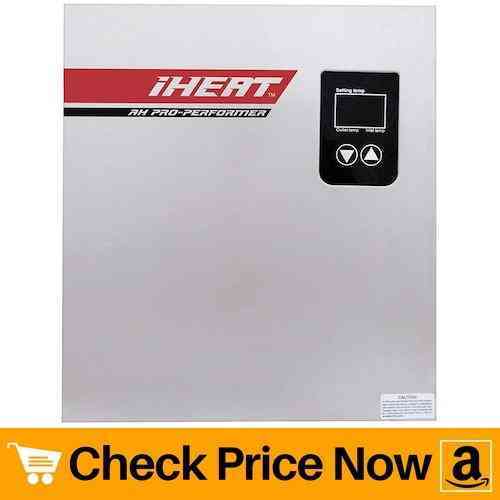 Second last on our best electric water heater reviews, we have a product from iheat. This model gives the best results in warmer climates. Therefore, it has the capacity to deliver 3.62 GPM of hot water to more than 3 bathrooms when climatic conditions are not so cold. It gives the best results when inlet water is at or above 54 degree Fahrenheit. So technically, it is not suitable to use in cold regions. Similar to the previous product, this model also have a steel heating element. One main benefit of having a steel interior is, it saves up to 60% of electricity. Unlike other products, this unit have digital temperature control instead of a knob. This in turn, eases the use of a product. Apart from that, this iheat device is light in weight and small in size. It also comes with 2 holes on the top and bottom of the unit for easy wall-mounting. Or else, you can place the product inside a cabinet or closet according to your wish. The aluminium outer cover of this tankless water heater makes the surface very hot. Therefore, which makes it necessary to place this unit in the area having good ventilation. Otherwise, the iheat electric tankless water heater is 99% energy-efficient and consumes power only when you turn on tap or shower. If cold is too much to wear then you should also equip your home with energy efficient space heater, fire pits, or propane patio heater. 1. Tankless water heater vs tank storage water heater. According to consumer reports, tankless water heaters are 22% more energy-efficient than tank storage models. Ultimately, it helps to cut down electricity cost. Secondly, tankless models are small in size as compared to storage tank units. And due to their compact design, they weight much less than tank storage models. This in turn, saves a lot of space as well as makes wall-mounting of the unit easy. Thirdly, instant heating or on-demand hot water supply is responsible for long-life of tankless units. Whereas, in the case of tank storage heaters, they have a shorter life expectancy. Lastly, the light weight of tankless heaters makes them easy to install in a remote bathroom, hot tubs, RV's, boats, patio, etc. With so much benefits of the tankless water heater, there comes few drawbacks. First of all, their initial cost is more as compared to tank storage water heaters. Secondly, many company requires you to get the unit installed by a professional electrician in order to claim a warranty. This in turn, increases the installation cost of the tankless water heater. Thirdly, long hours of continuous usage may decrease the intensity of hot water. Lastly, the maintenance cost of tankless water heater is much high than tank storage heaters. 2. How to install a tankless water heater? Generally, it is quite hard to install a tankless water heater by yourself. Plus it is dangerous to deal with high voltage wires if you don't have technical knowledge. And many companies ask you to call a professional electrical to install a tankless heater to claim warranty. And in our opinion, you should always ask for professional help until or unless you have a thorough knowledge of the same. They will properly install an electric heater without causing any damage. Plus they will suggest you to buy better special union connector sets and else necessary stuff for proper installation. 3. How does a tankless water heater work? Before buying a unit, you might like to know how does a electric tankless water heater work, which is quite obvious. In simple words, whenever you turn on tap or shower, powerful heating elements instantly heats the cold water and make it hot. Instead of storing water inside the unit, they directly supply hot water on-demand. As a result, there is a less standby-energy loss which ultimately cuts down electricity cost. In short, electric tankless models are energy efficient. These heating elements are basically of two types, copper or steel. While steel heating elements have high chances of corrosion over time, copper remains corrosion-free for a long period of time. We have included both types of products in our best electric tankless water heater review list in order to help you buy the best model.